While Australia remains in the grip of a terrible drought that is delivering a hard stop to the narrative of being the food bowl of Asia, in Europe a radical urban farming innovation aims to challenge traditional agriculture. 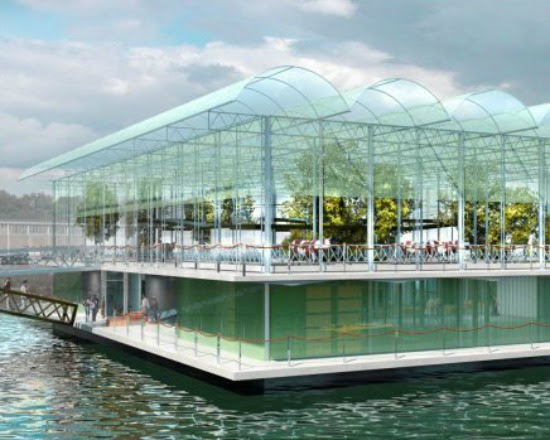 A Dutch company is launching the world’s first floating farm to meet demand for local food. The farm, built as an offshore facility in Rotterdam’s Merwehaven harbour will house 40 cows and deliver 800 litres of milk per day collected by robots. About 80 percent of the cows’ feed will be supplied from leftover vegetable produce, grass clippings from city sports fields, spent brewers’ grains and waste potato peels. Supplementary hay will be supplied by electric vehicles. Milk bottling and cheese and yoghurt processing is built into the barge. Cow waste will be dried and used for compost in the city. First published by the Warren Centre’s Prototype newsletter. The Warren Centre brings industry, government and academia together to create thought leadership in engineering, technology, and innovation.